I’m humbled, happy and grateful when someone sees value in my work. 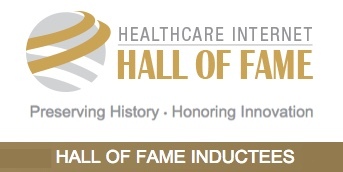 Recognition indicates the potential of inviting engaged patients into the conversation. Disclosures / COI: See the disclosures page. 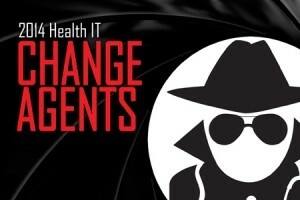 October 2014: HealthIT Outcomes Health IT Change Agents 2014. 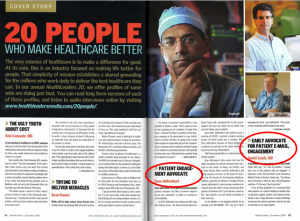 May 2014: MDigitalLife 5: Who Doctors ACTUALLY follow – Healthcare People Edition. #2 in the list. 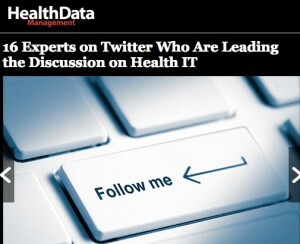 January 2012: Klout’s Top 10 healthcare influencers From PCWorld: “Your Klout score is based on three major ranking factors. True Reach is the number of people who act on and share your content, with spam and bots removed from the equation. Amplification is a measure of how likely people are to act upon your shared content. Network gives you marks for having top influencers in your circle; if they share your content, your Klout score goes up. 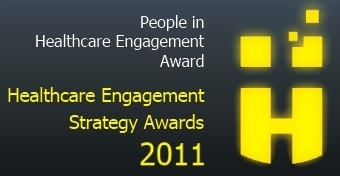 February 2011: Health Engagement Strategy. Blog post here. I wrote to you from my newly created Twitter account @Your_Advocate asking to discuss your “Standard of Care” idea. I have a strong interest in creating a website to help patients fight their commercial and Medicare insurance denials. 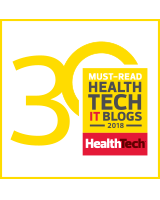 Having a research area within the site that allows patients to understand their treatment options feels like a natural fit to this content. I have looked into creating a 501C3 and want to offer help to people free of charge. 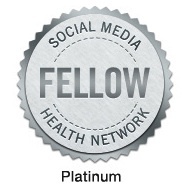 I have a lot of experience in the medical device field and have been working as an advocate and marketer since 2007. Do you have the time and inclination to discuss this further?